I got a couple of comments about these guys also working as bookmarks. Couldn't agree more. You can download the zip file (containing the pdf of all 3 sheets) and print as many as you like. The download button should be on the right side of the image. Hi there, I really enjoy these beautiful bookmarks you made. Thank you for sharing! I printed out the 2nd page on black/white instead of color, and will shade them with color pencil later. I think that it is a very wonderful bookmark. 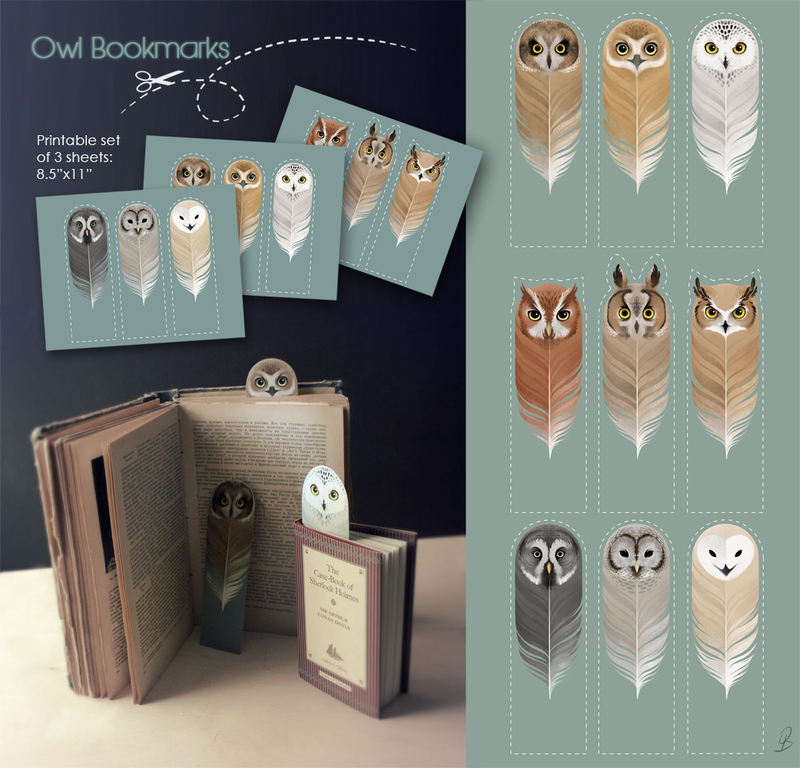 Do you sell these artistic bookmarks? This is awesome, I'll definitely print some out when I need a bookmark. Thank you! Using <3 They are a charm. I'm going to back them with card, perhaps even laminate them. I've printed out two sheets so the bookmark is double-sided. OH~~ thanks! I will print it. I just printed them out now! Such beautiful bookmarks! WOAAAAA!! THIS IS AMAZING! THANKS! you have combined my two favorite things!!! I love these so much. aww! thank you so much for making these available for free!! these are beautiful! these are lovely! you rock!! Cool idea, they look great! This is free? Can I print it and use it non-commercially? thank you so very much!!! Wow ! They are really beautiful ! This is amazing! ♥! Thanks for share this! My friend loves owls! I can totally give her some!